KUALA LUMPUR (Oct 13): Goldis Bhd has proposed a renounceable rights issue of up to 460 million redeemable convertible cumulative preference shares (RCPS) to raise RM460 million, in a move to partially refinance the borrowings obtained to fund the takeover of IGB Corporation Bhd. The RCPS would be priced at RM1 apiece and are convertible into new Goldis shares, at the option of the RCPS holders at a conversion price which will be at the 5-day volume weighted average market price of Goldis shares, on a price-fixing date to be determined later by the Board, provided the conversion price of the RCPS shall not be lower than RM1.00, being the par value of the Goldis shares. “The entire proceeds from the proposed rights issue are proposed to be utilised to partially refinance the borrowings obtained, in connection with the proposed conditional take-over offer by Goldis to acquire all the remaining shares in IGB Corporation,” said Goldis in a filing to Bursa Malaysia this evening. The proposed rights issue is conditional upon the proposed takeover offer, it added. Goldis highlighted the consideration for the proposed offer for IGB Corp, to be satisfied entirely by Goldis in cash, shall be funded by internally-generated funds amounting to about RM59 million, and the balance entirely by borrowings. 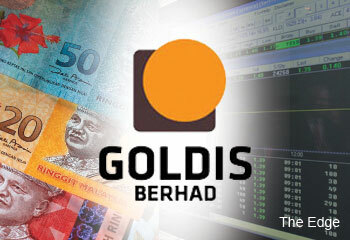 Goldis closed 1 sen higher at RM2.32 today, with a market capitalisation of RM1.41 billion.